1. Heat the oven to 425F degrees. 2. 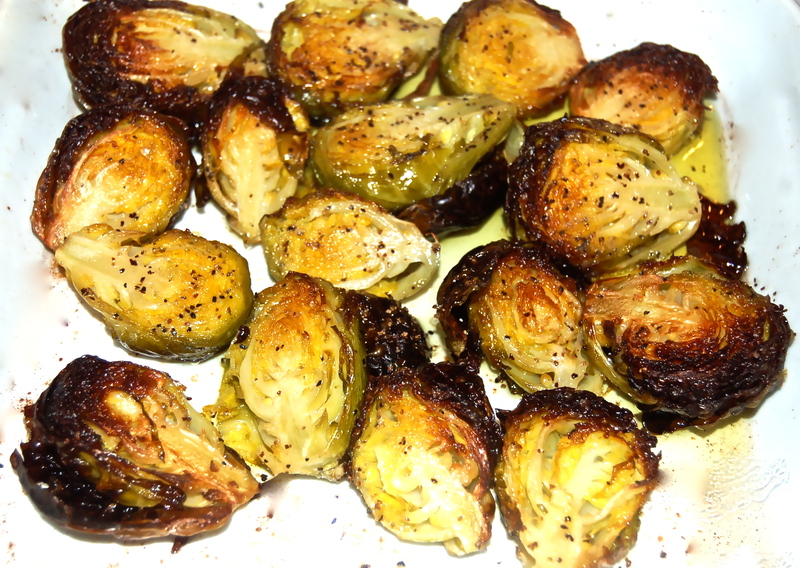 Halve the Brussels & add to a large bowl. Douse with the EVOO & sprinkle with Salt & Pepper. 3. Transfer to a casserole or a baking dish & roast for about 45 minutes until they’re blackened & have become very tender.